Unwanted hair? Electrolysis can help! Electrolysis is the ONLY method of hair removal which has been approved by the FDA as a permanent solution to the problem of unwanted hair. With so many biological factors that can influence hair growth, I know there are no quick fixes. I also understand how excess hair growth can affect your life. Electrolysis is safe and effective for every type of skin and hair combination. Unlike laser, which can only treat dark hair with light skin, electrolysis can effectively treat any hair color on virtually any area of the body. Using state of the art equipment, treatments are much more comfortable and gentle than ever before. I provide private, confidential treatments that are tailored to each individual’s needs. Contact me to set up a consultation and discuss your situation in more detail. Why choose electrolysis for hair removal? Never worry about shaving or plucking again! I have been providing permanent hair removal to individuals in the San Francisco Bay Area, Oakland, Berkeley, and other East Bay cities for over 20 years. My office is located in Alameda with easy parking. 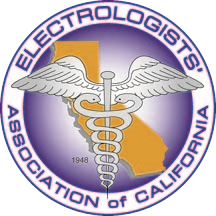 This website is designed for easy navigation and should answer your questions about electrolysis. Please call if you have any questions, or would like to know what type of treatment plan would work best for you.